For years, beef has been Public Enemy Number One for environmentalists and health advocates alike. Headlines warn that livestock production, particularly for cattle, poses the worst environmental risk than anything else in the world, and that eating red meat can substantially increase your chance of dying from heart disease or cancer. If you’re like most good food advocates, calling for a drastic reduction in beef production is a no-brainer. Right? Nicolette Hahn Niman, vegetarian rancher, environmental lawyer, and wife of Bill Niman, founder of the eponymous Niman Ranch, lays out a compelling case in her new book Defending Beef: The Case for Sustainable Meat Production. As she sees it, if we want to fight climate change, we may want to actually raise more cattle. To be clear, Defending Beef is not an endorsement of Big Meat. Niman is well aware of the devastating impacts factory farming poses on the environment, public health, and animal welfare. Her first book, Righteous Porkchop, lays that information out in a very detailed manner. Niman encourages us to do away with what she believes is an unwarranted stigma placed on cows themselves and the ranchers who raise them. Nicolette and I are friends; we met when Bill Niman served as a commissioner for the Pew Commission on Industrial Farm Animal Production, for which I was working at the time. With that said, I did my best to read Defending Beef with a critical eye. What I found was a well-researched, nuanced book that offers a balanced defense of pasture-based beef production and I encourage everyone to consider her arguments. Livestock production is responsible for 14 percent of all man-made greenhouse gases and cattle are the gassiest of them all, representing about 41 percent of that number. Given that fact, why would Niman suggest that increasing beef production could actually mitigate greenhouse gas emissions? For explanation, Niman turns to semi-controversial Zimbabwean biologist and environmentalist, Allan Savory. Based on decades of research, Savory argues that properly managed herds of grass-eating animals, in particular cows, can replenish the soil, preventing and reversing desertification. Continuously rotating cows through grasslands packs their nutrient-rich manure into the earth and promotes deeper root growth of grasses, which in turn absorbs and retains both water and carbon dioxide, making soils richer. Unfortunately, when grassland is plowed under to create traditional farmland, networks of beneficial fungi die and carbon is released into the atmosphere. The United Nation’s Food and Agriculture Organization (FAO) first shined a light on livestock production’s potential impact on climate change with its 2006 report Livestock’s Long Shadow. Animal feed production and processing represents nearly half of all emissions attributed to livestock and the FAO report singles out grassfed and pasture-raised cattle for their potential to belch out large amounts of methane. Niman argues, however, that those researchers fail to take into account how cows stimulate grassland growth through grazing, which promotes carbon sequestration. This is even true of grain-finished cattle that still spend the majority of their lives on the range. 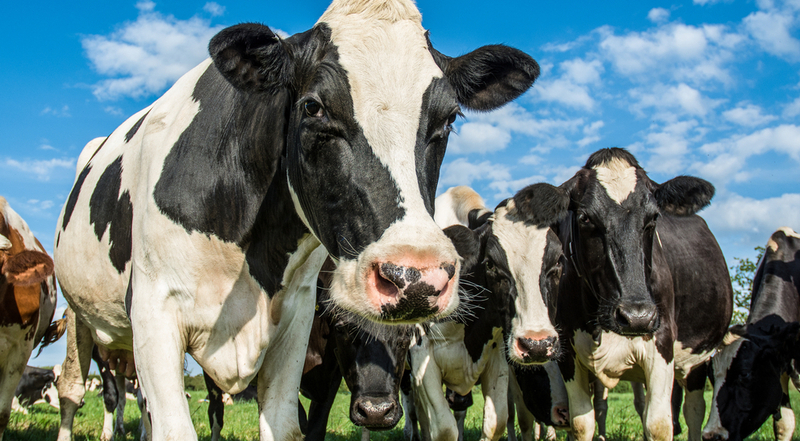 The FAO recognizes that there are many ways to mitigate beef and dairy emissions, but acknowledges that these effects are difficult to calculate. Niman argues that if all livestock were allowed to graze the way Savory suggests, it’s possible emissions could be completely offset. Conventional wisdom holds that red meat, including beef, is full of saturated fats that can lead to heart disease. However, research is starting to show that this claim may be based on correlation, not causation. Similarly, Niman suggests that research linking diabetes and cancer to red meat may be skewed by the so-called “healthy user bias”: Heavy meat eaters tend to have less health-conscious diets and lifestyles compared to people who eat fewer processed foods and more cancer-fighting fruits and vegetables. What should the future of beef look like? Niman believes the answer is cattle grazing on grass. Not only because it’s more ecologically sound, but also because she says it is “inherently resistant to industrialization” and has agribusiness nervous. The question remains: will consumer support be enough to change the food system? Niman believes that the answer is yes. She tells her readers that she’s lost hope of any significant policy change, but believes the power in fixing our food system lies with the customer who values all food, including grassfed beef. I agree with her. And when I eat beef it seems to make me stronger. I seldom eat it though.